If the moving truck has to park on a major street in a downtown area, you better check the parking signs and laws. 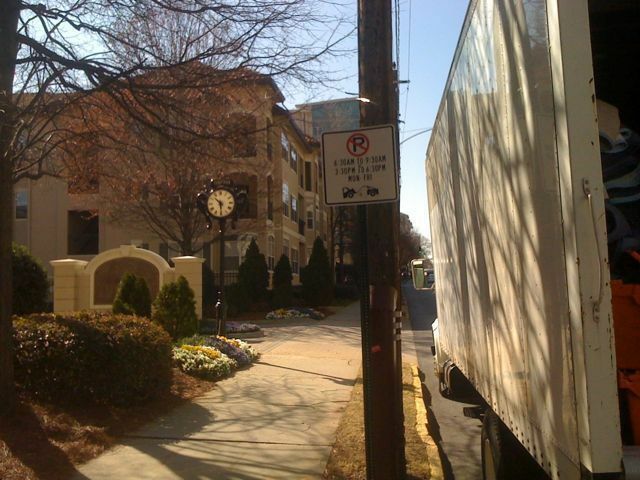 In the picture below, in Atlanta, on Juniper Street outside of the Tuscany Condo complex, the parking sign says there is no parking Mon to Fri from 6:30a to 9:30a and from 3:30p to 6:30p. That gives you a 6 hour window between 9:30a and 3:30p. Since most professional movers prefer to start between 8 & 9:00am, they are not going to be able to park then at this convenient place on the curb. If it is an afternoon job, then they might start at 1:00pm and be looking to unload around 4pm. Also “Not a Go” if the unloading will be done at this curb. And I don’t recommend “Risking It.” Cities are hard-up for cash, and they are looking hard for opportunities to fine you $250 — the going rate for a parking ticket at this location in Atlanta. 1) Park somewhere else. At this “Tuscany” complex a moving truck can actually go inside the security gate to park. Often it is not as convenient access, but it is not bad. 2) Plan it so the truck is only parked within that six hour window. If loading there, you will have to start after 9:30. If unloading, the movers will have to be finished before 3:30p, or they may have to come back the next day. 3) Do the move Saturday or Sunday. 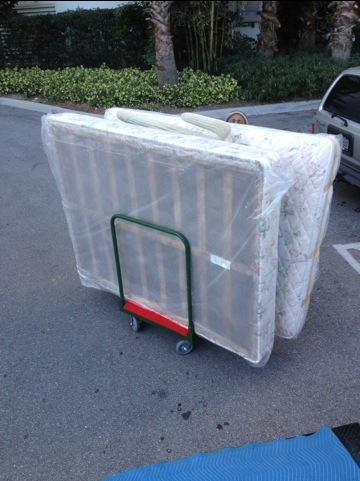 Our customer is only moving a one-bedroom apartment, so she initially felt a two-man moving crew would suffice. I explained that High-Rise moves add an extra layer of complexity and risk. If you just have a two-man crew, then there is not an extra man to watch the furniture in the truck or left outside the elevator. 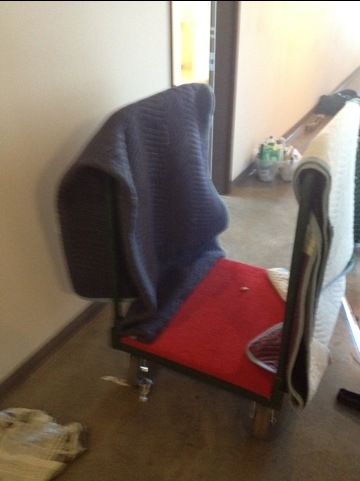 Once we had a dresser stolen that was left outside an elevator of an upper floor of another High-Rise in town. During an unload to a High-Rise: With a three-man crew, one man can push items from the truck to the elevator. The other two men can take the items up the elevator into the destination unit. 1) Talk to the Building Management about the details of reserving the freight elevator. 2) Will the Movers have exclusive use of the elevator during that time period? If they don’t, the move will take much longer. 3) Will the Movers have a key to the elevator, or will it otherwise be “locked” for them, or will they have to wrestle with trying to hold the door open as they move items in and out of the elevator? 4) A High-Rise residential move is similar to an Office Move in that additional four-wheel dollies are required. Make sure the Movers have between 10 and 20 four-wheel dollies on the move. 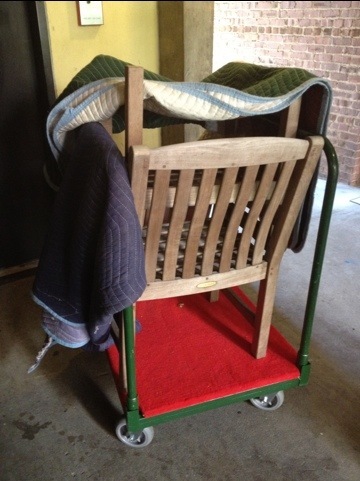 The more furniture which can be loaded onto dollies, and rolled into and out of the truck, and then into and out of the elevator and into the destination unit, the faster the move will be.